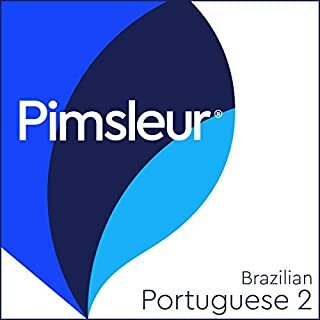 Portuguese (Brazilian) Level 2 includes 15 hours of spoken language practice and one additional hour of reading instruction and is designed to be used after completing level one. Portuguese (Brazilian) Level 1 includes 16 hours of spoken language practice and one hour and 20 minutes of reading instruction in 30 30-minute lessons. A great way to learn Portuguese! Italian Level 2 includes 15 hours of spoken language practice and one additional hour of reading instruction and is designed to be used after completing level 1. In the first 10 lessons of level 2, you begin to use the past tense. Structures become more complex, and informal speech is introduced. Chinese (Mandarin) Level 1 includes 15 hours of spoken language practice and one hour of culture notes in thirty 30-minute lessons. In the first 10 lessons, you'll cover the basics: saying hello, asking for or giving information or preferences, scheduling a meal or a meeting, asking for or giving basic directions, and much more. You'll be able to handle minimum courtesy requirements, understand much of what you hear, and be understood at a beginning level but with near-native pronunciation skills. Level 2 includes 15 hours of spoken language practice and one additional hour of reading instruction and is designed to be used after completing phase 1. In the first 10 lessons of phase 2, you begin to use the past tense. Structures become more complex, and informal speech is introduced. The Pimsleur Method is scientifically proven to be your fastest route to near-native fluency. Portuguese (Brazilian) Level 3 includes another 15 hours of spoken language practice and one additional hour of reading instruction and is designed to be used after completion of levels one and two. The beginning lessons of level three offer you the chance to expand your vocabulary and increase your fluency to an even higher level. You'll gain experience participating in many informal and some formal discussions on practical, social, and semiprofessional topics. You'll skillfully form longer, more complex sentences, and, most importantly, you'll find yourself being understood, even by native speakers unused to dealing with foreigners. You'll be able to join in conversations effortlessly, confident of being understood. In the next 10 lessons of level three, your skills will show ever-increasing mastery of the language. Speaking with grace and complete naturalness, you'll enjoy fluid conversations on many new subjects. Delving deeper into cultural norms and situations, you'll find yourself responding effortlessly and able to choose from a wide accumulation of vocabulary and structures. In the final 10 lessons of level three, you're nearing fluency, with agile responses and a natural-sounding, near-native accent. You're able to utilize the language in subtle ways and speak using past, present, and future tenses. Self-confidence soars as you experience the language and culture no longer as a foreigner but with a deepening insight into an expanding new world. Reading lessons are included at the end of lesson 30. 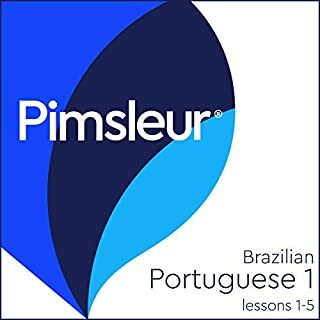 These lessons, which total about one hour, are designed to give you practice reading Brazilian Portuguese and to provide vocabulary. Before you know it, you'll be reading Portuguese with the ease and flexibility of a native speaker. A reading booklet to be used with the audio lessons is also included in PDF format.